Get the best out of your allotment and enjoy the taste of real food! 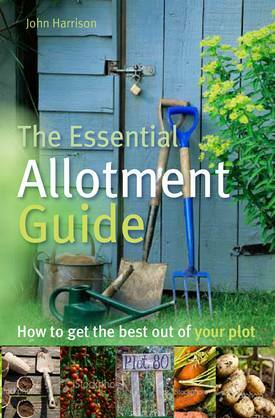 Aimed at those looking for or having an allotment, this best-selling book will enable the complete novice to grow their own successfully. Not a coffee table book but a real book for reading and using. “When I started on my allotment 2 years ago, being a complete novice I needed all the advice I could get. I bought a number of books on keeping allotments but found that page after page of instructions were impossible to assimilate. “The Essential Allotment Guide” is written with the gardener in mind, with simple and concise information on subjects like how to get a plot, not always as easy as it sounds! Clear that jungle of a plot you have just leased and turn it into a productive oasis. I’ve been an allotment holder for years and wish I’d have had this to hand when I started out. So glad I’ve got it now, who says you can’t teach an old dog new tricks. In his work Mr Harrison’s love for gardening comes forth as does his enthusiasm for cost effective food growing.